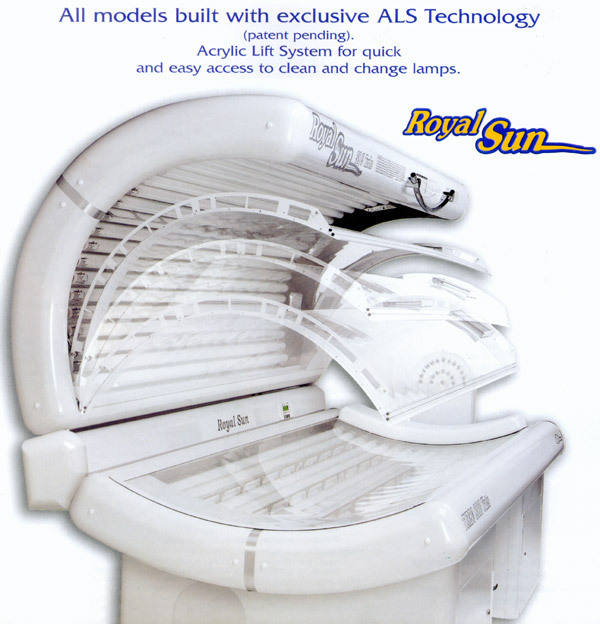 We offer tanning bed parts, repair and service technicians for all models of used tanning beds you find on this website. We build brand new equipment called: Tropical Rayz, South Beach, Royal Sun, UVScan, and Focus. We also provide parts like tanning acrylics, indoor tanning lamps, replacement bulbs, capacitors, timers and more for all models including Ergoline, ETS, Heartland, Tan America, Sun Capsule, and SCA Wolff, to just name a few. We provide a major part index website on the Internet located here: www.tanningbedparts.us which carries over 10,000 items for indoor tanning equipment up to 25 years old! We also offer a repair and service referral website located here: www.tanningbedrepair.com and list an extensive collection of discount replacement lamps located here: www.tanlamps.com and www.tanningbedbulbs.net and we sell the new red light therapy bulbs on our website located here: www.redlightlamps.net . We offer life-time support to all our customers, 90 day warranty on used and refurbished equipment, and 3 year warranty on our new Tropical Rayz models here. Call 800-667-9189 or email us here with more questions. If you just bought a used tanning bed then you most likely are concerned about the enormous amount of power, or current, required to drive up to 10,000 watts of power safely. A warning label on the back of most indoor tanning equipment today states you must have 230 volts applied for optimum tanning bulb output. To help regulate your salon's "actual" 220 voltage, which can range from 208 volts to 248 volts, you can install a device nicknamed a "buck-booster", which may buck your voltage DOWN from 248 volts, or boost your voltage UP from 208 volts, etc. These step-up or step-down voltage converters are critical to the proper operation of your tanning salon equipment and many manufacturers, ETS Tans and Sun Ergoline for example, void your warranty if these are not installed prior to operating equipment. We offer for sale, new buck-boosters from $150-$350, and used buck boosters from $90 to $190, freight included. 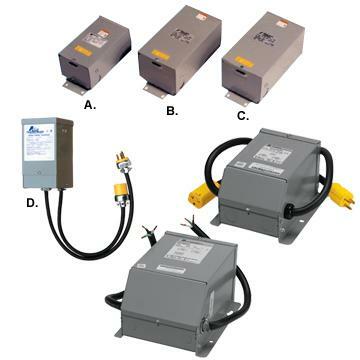 These transformers can be wired for +/- 16 or 32 volts and sizes range from .5 KVA to 3.0 KVA. Click here to buy NEW buck boost transformers or call 800-667-9189 today.